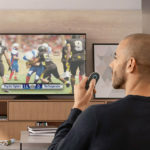 until the day when voice recognition comes to universal remote and smart TVs as standard, we still have to punch letter-by-letter to form the search terms when searching contents and manipulate arrow keys to control cursor on our connected TV. 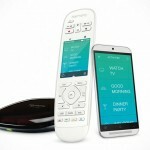 it is an excruciating experience which the Logitech Harmony Smart Keyboard seeks to relieve couch potatoes of. to be honest, this is why despite having a slew of connected devices hooked up the TV, i never actually got around using them. even the simple act of keying password is a gargantuan task. the Harmony Smart Keyboard solves this by giving you a full size keyboard, complete with function keys such as “Guide”, “Pause”, “Play” and Channel up or down, and a touchpad for easy menu navigation, as well as web surfing. it even has game console buttons to cover your gaming needs. 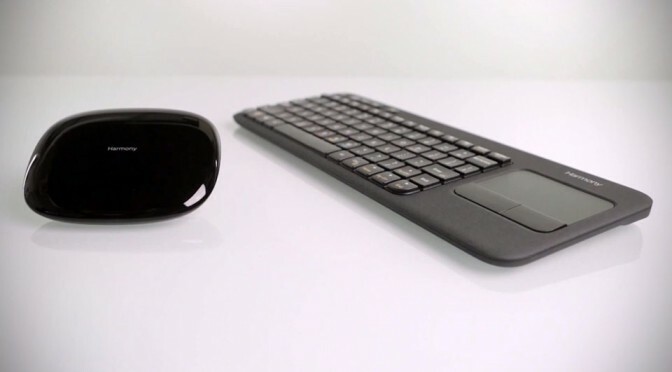 the Harmony Smart Keyboard comes with the Harmony Hub, which translates signals from the keyboard into commands the entertainment devices can comprehend. with the free Harmony app for Android and iOS installed, the Harmony Hub can also turn your smartphone or tablet into a handy touchscreen universal remote. the Logitech Harmony smart keyboard and Harmony Hub boasts compatibility with over 225,000 home entertainment devices, covering over 5,000 brands, which means you should be quite well covered and if not, i sure they have learning functionality to pick up new commands. though i have to emphasize that Logitech did not explicitly point this out. last but not least, we appreciate the fact that you don’t need to be pointing at the Harmony Hub for the keyboard or your phone/tablet to work, which means you can stash the hub away in the cabinet to maintain a clutter-free entertainment console (or at least, not to add to the clutter). the Logitech Harmony Smart Keyboard will retail for $149.95 when it becomes available this month.